Supercomputers help design a mutant enzyme that eats plastic bottles. A dump truck's worth of plastic empties into the ocean every minute. 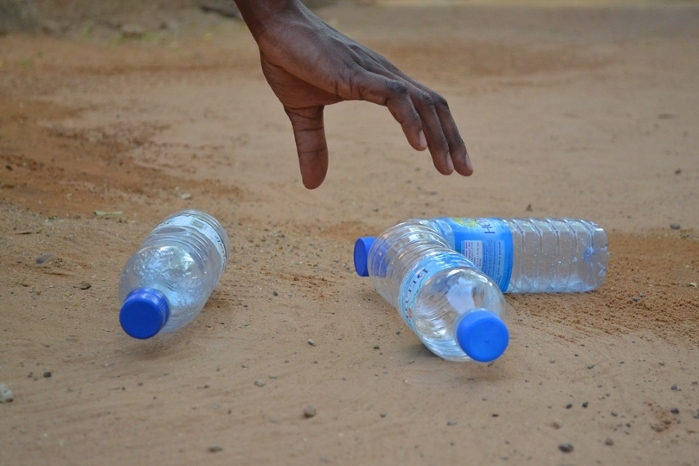 Worldwide, humankind produces over 300 million tons of plastic each year, much of which is predicted to last centuries and pollutes both aquatic and terrestrial environments. 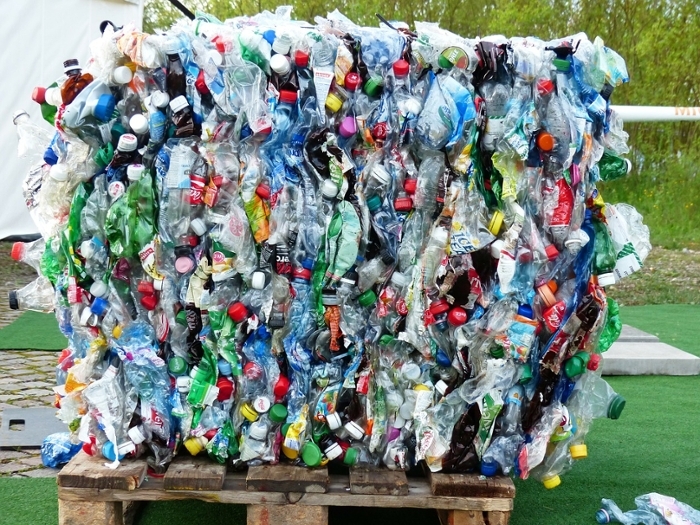 PET plastic is the fourth most-produced plastic and is used to make things like beverage bottles and carpets, most of which are not being recycled. Now some scientists are hoping to change that, using supercomputers to engineer an enzyme that breaks down PET. 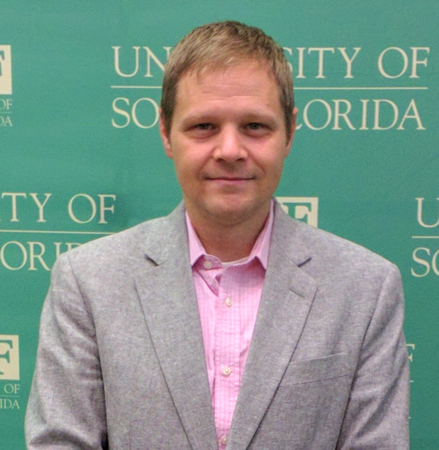 "We're ideally going from a place where plastics are hard to recycle to a place where we use nature and millions of years of evolution to direct things in a way that make plastic easy to recycle," says Lee Woodcock, associate professor of chemistry at the University of South Florida. Woodcock co-authored a study on the structure of an enzyme to degrade PET that builds on a discovery in 2016 of a bacterium that feeds on PET plastic as its source of carbon and energy. 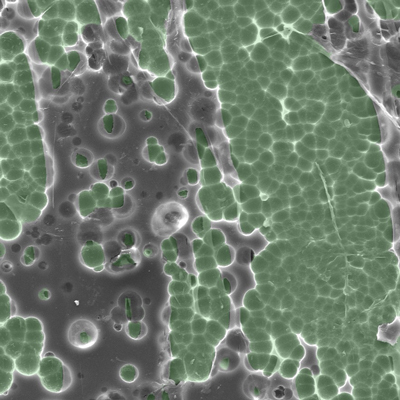 The group focused on the bacteria's plastic-degrading enzyme, called PETase. Team members at the University of Portsmouth, led by John McGeehan, used X-ray crystallography to solve the high resolution crystal structure of PETase. X-ray crystallography was used to solve the structure of the bacterial enzyme responsible for chopping up PET plastic. This newly evolved enzyme could be the key to tackling plastic waste. Courtesy Diamond Light Source. "We then used computer simulations to understand how a polymeric ligand like PET would be able to bind to the enzyme," says study co-author Gregg Beckham, senior research fellow at the US National Renewable Energy Laboratory (NREL). "We also conducted experimental work to show that indeed, the PETase can break down water or soda bottles, industrially relevant PET films, and another plastic, polyethylene furanoate." After doing this work on the structure and function of the PETase enzyme, the authors next tried to understand its evolution and looked to a similar enzyme, a family of cutinases, which degrade the waxy polymer cutin found on the surface of plants. "We developed the hypothesis that if we make the PETase enzyme more like a cutinase, then we should make the enzyme worse. When we did this work, in fact we ended up making the enzyme slightly better by doing that," Woodcock says. The Extreme Science and Engineering Discovery Environment (XSEDE) awarded Beckham allocations on the Stampede1 and Stampede2 systems at the Texas Advanced Computing Center (TACC) and on the Comet system at the San Diego Supercomputer Center (SDSC). "Having access to XSEDE resources really opens up the possibility of being able to model and being able to study what type of large-scale conformational or even local, small structural changes occur as a function of both binding to the substrate and, additionally, what are the structural changes the large-scale or local, small scale structural changes that occur in the enzyme after we make the mutations. That was a big part of what we were looking at," Woodcock says. "Our experience to date has been absolutely wonderful," Beckham says. "We're producing a lot of great science across the spectrum of what our groups are collectively doing together using Stampede2 right now." "One nice thing about Comet," Woodcock says, "is that you have, for jobs that you need to get through in a high-throughput fashion, SDSC has a shared queue, which allows you to submit much smaller jobs but do it in a very high-throughput fashion, as they can share cores on the nodes at Comet. This was particularly helpful." Both researchers agreed that computation boosts scientific discoveries. Says Woodcock, "Without access to resources like this, this would really take us a step back, or multiple steps back in producing the highest levels of science and really being able to address the world's most challenging problems, which is what we did in this particular study." Beckham says that their work has just begun on enzymes that clean up plastic pollution. "We're just starting to understand how this enzyme has evolved.” Beckham wants to use computation to take advantage of large databases of genomics and metagenomics on enzymes to find the needles in the haystack that can degrade plastics. 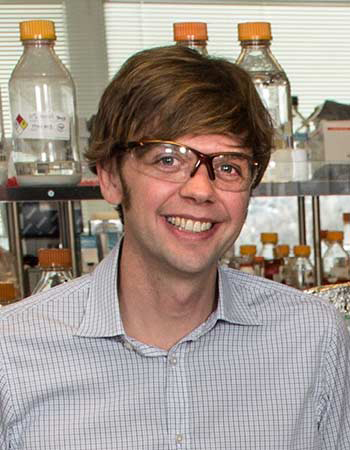 "The other thing too that we're interested in," Beckham says, "is if we're able to do this at a much higher temperature, that would be able to accelerate the degradation of PET and get us into realms that potentially could be industrially relevant in terms of using an enzyme to degrade PET and then convert that into the higher value materials, which could incentivize higher rates of reclamation, especially in the developing world where lots of plastic waste goes into the ocean." The scientists are hopeful their work will one day make the world outside the lab a better place.